But the Barbers of Ditcheat are no ordinary cheesemaking family: to begin with, they claim to be the oldest surviving cheddar-makers in the world, having traced their roots back to at least 1833. This is a cheese dynasty that’s survived events that killed off many of their peers: the coming of the railways and cheese factories, two World Wars, milk quotas and supermarkets. They now produce some 14,000 tons of cheese a year, including their flagship 1833 cheddar, which is matured for at least two years. Their other claim to fame is that they are the sole guardians of Britain’s traditional starter cultures, the mysterious building blocks of cheesemaking used in cheeses such as Appleby’s Cheshire, Mrs Kirkham’s Lancashire and Montgomery’s Cheddar. If you’ve ever used a biga, starter or sponge as a natural yeast to make bread, or bought a particular brand of yoghurt in the hope it will repair your ravaged digestive system, then you’ll be aware of the use of ‘friendly bacteria’ in food production (as opposed to ‘unfriendly bacteria’ that give you foot rot or diarrhoea). But fewer people are aware of the vital role that bacteria play in the cheesemaking process. 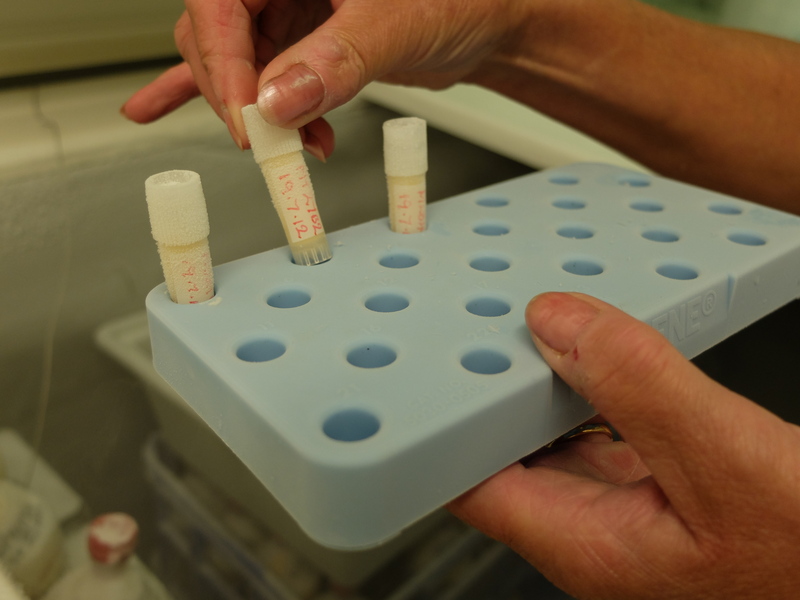 Starter cultures are blends of various bacterial strains that are added to the milk before anything else. They are responsible for starting the cheesemaking process by raising the acidity of the milk so that the rennet can act to transform the liquid milk into solid curds. And as if that wasn’t an important enough role, they also contribute to the ageing process; as the bacteria break down over time, they release enzymes that determine the eventual aroma, texture and taste of a cheese. It’s the addition of cultures that turns your cheese blue, fills it with holes or covers it in fluffy white mould but, less obviously, they can also make the difference between one cheddar tasting of sweet nothing and another filling your mouth with a complex and tangy creaminess. Generations ago, farmers would use naturally soured milk or leftover whey to start a new batch of cheese (a process rather charmingly known as ‘backslopping’). The local environment would determine the blend of bacteria present: the animals, the fields on which they grazed, the people who milked them and even the air itself would contribute bugs to the milk. These home-made starters would have been passed from one cheese-maker to another if there was a particularly good batch of cheese (and there used to be some five cheese-makers in the Barber’s village alone) and even passed down the generations, in the same way that today’s artisan bakers covet the sourdough starter that their grandfather first developed in his Italian village one hundred years ago. This is a gratuitous photo of my sourdough starter which did originally come from an Italian village. Get me, artisan baker extraordinaire. 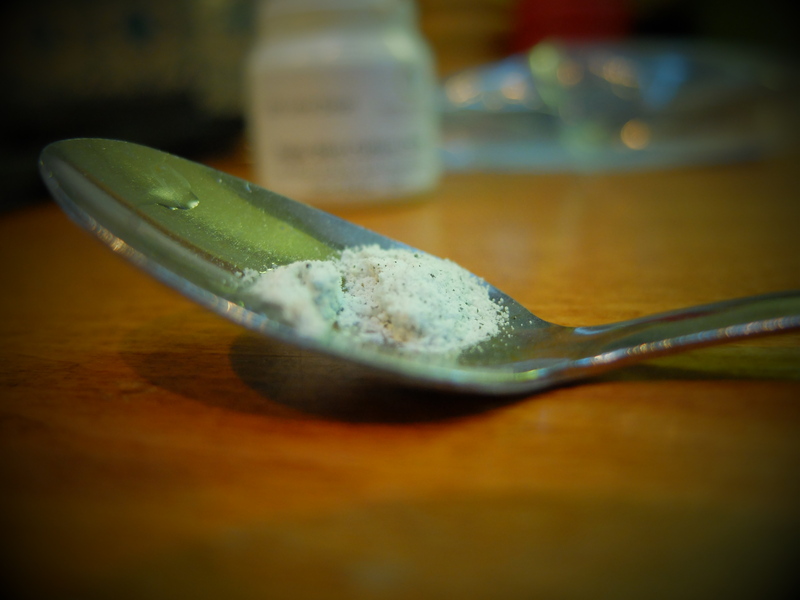 Sour milk, however, is an unpredictable substance: as often as lucky contamination resulted in a delicious cheese so too did another starter fail to develop or else produced a rancid lump. In the latter half of the twentieth century, commercial companies began to ‘clean up’ the best starter cultures, isolating and removing any ineffective or dangerous strains of bacteria and leaving those which resulted in superior cheeses. Starter cultures were supplied freeze-dried and cheesemakers turned to them in droves, abandoning the unpredictability of live cultures for the convenience, reliability and safety of packet cultures. The disadvantage, however, is that many strains of bacteria don’t survive the freeze-drying process or won’t grow in isolation and so you lose the variation and character that live cultures will produce. 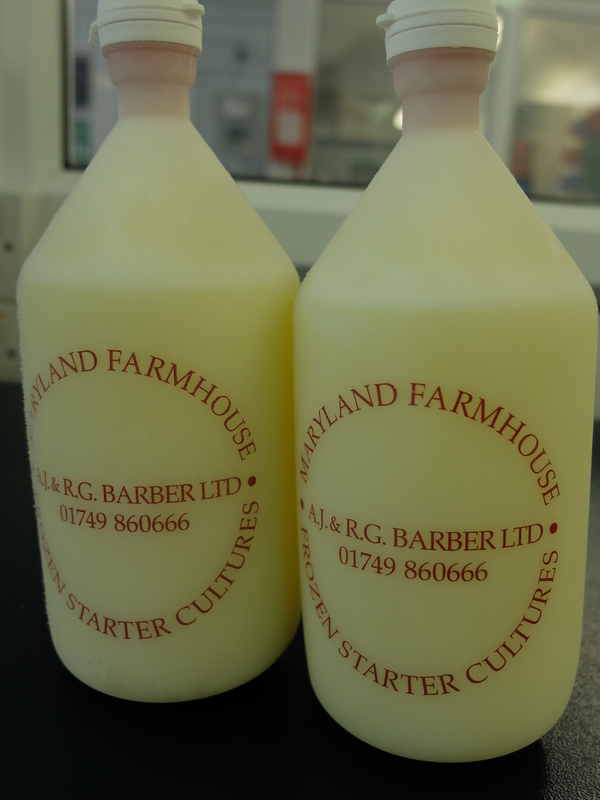 In the 1980s, the last big dairy using live cultures (some of them more than fifty years old) decided to stop in favour of the freeze-dried type; they were all destined for a skip until the Barbers offered to give them a home, along with Ray Osborne, a starter culture guru who went on to be awarded an MBE for services to the cheese industry. 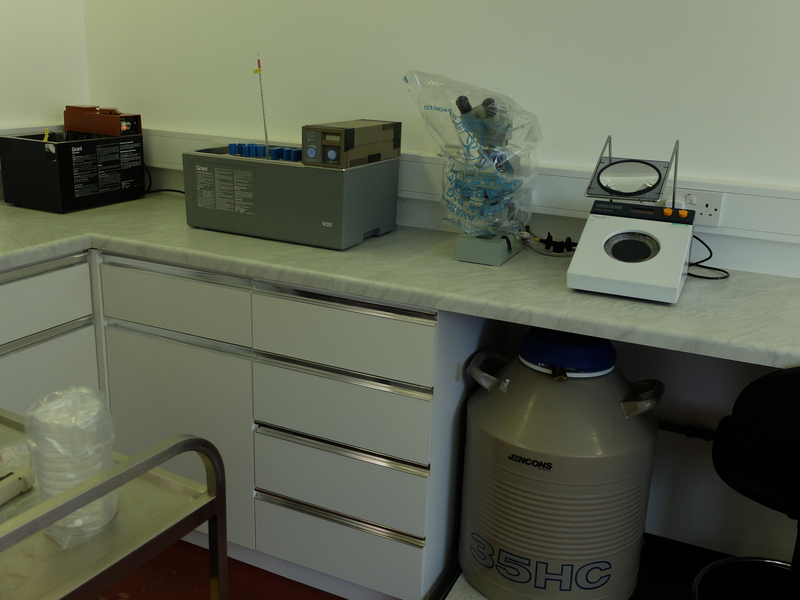 The Barbers now house 22 different seed cultures in a lab at the dairy (plus a set of spares off-premises, just in case) and they are the country’s only supplier, providing other cheese-makers with the valuable resources. They are, if you like, the Svalbard of cheese cultures, ensuring the preservation of the last known UK starter seed collection. The cultures live in tiny ampoules in the aforementioned canister of liquid nitrogen. 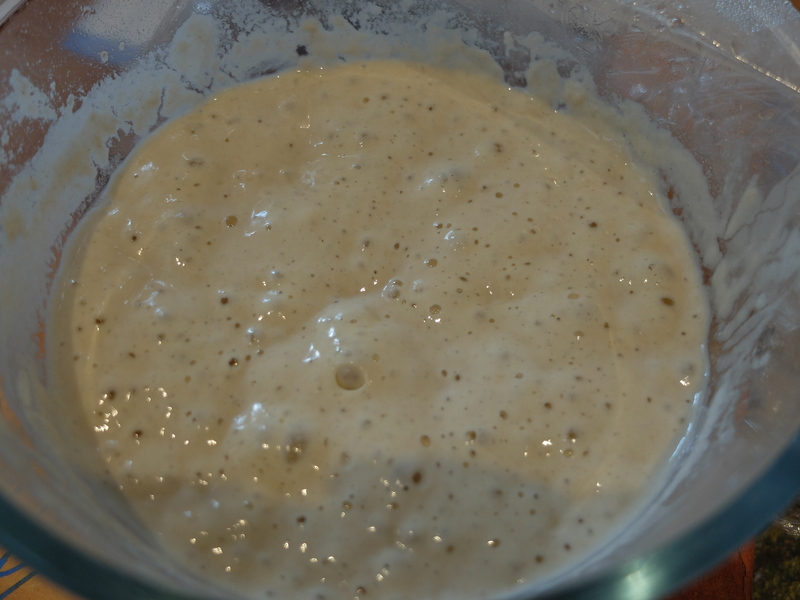 Just a tiny amount of the original starter is grown on several times in skimmed milk – just as you feed your sourdough starter with flour and water to produce more. And this multiplying effect is such that just one vial of original starter can go on to make some 28,000 tons of cheese. Current production levels mean that they have enough original starter to last for 250 years – without even investigating some of the other blends of cultures that they have stored away. 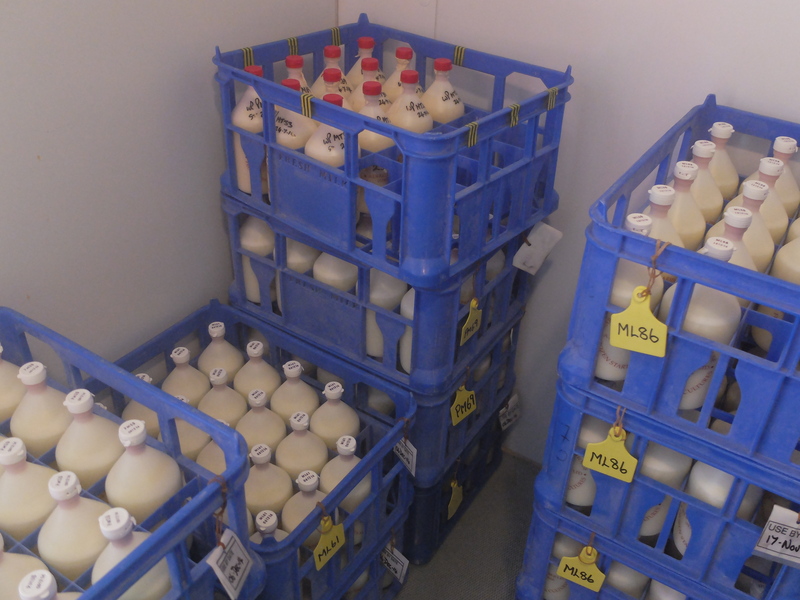 ‘Pint starters’ in a (very) cold store, waiting to be delivered to other producers. Using freeze-dried cultures helps to avoid a phage attack but because they use traditional starter cultures, the Barbers must rotate different strains of bacteria each time they make a batch of cheese – in effect, they do this to dodge the phage, making sure that it doesn’t have time to work out how to attack the good bacteria. But using different blends of bacteria also results in subtle variations in the taste of the cheese. So one culture will produce a cheddar with a strong Marmitey flavour whilst another gives hints of the gooseberry taste of a Sauvignon Blanc. The Barbers are fiercely proud of their collection of cultures and the fact that they use them to make their cheese – as are other producers who buy and use them. In contrast, other cheesemakers happily use freeze-dried cultures. Just as the debates rage on in cheese circles around milk sourcing, terroir and raw milk, so too has the use and diversity of starter cultures become a hot topic. Some cheddar-makers, for instance, have started to use a Helveticus starter culture typically used in Swiss cheeses, which results in a sweet taste. But although popular with some consumers, others think the sweetness has no place in cheddar. ‘I like the flavour in a Swiss cheese,’ says Giles Barber, ‘but it’s not right for traditional cheddar. Without the traditional starters, I can see all the cheddars turning to this sweet taste and the original flavour dying out.’ Fortunately this looks like something we won’t have to worry about for a couple of centuries at least. That is great! Will I be able to buy that stuff at asdas if I ask Kevin the Manger? and make my own blend of cheese? Hi Terry! Hope you are still enjoying the cheeses you find! You won’t get cultures at Asda; you can get them on the internet but they are pretty tricky to use (I tried and my cheese was awful!) If you want to make you own cheese, the easiest way is with some lemon juice – the cheese will be quite soft like ricotta. 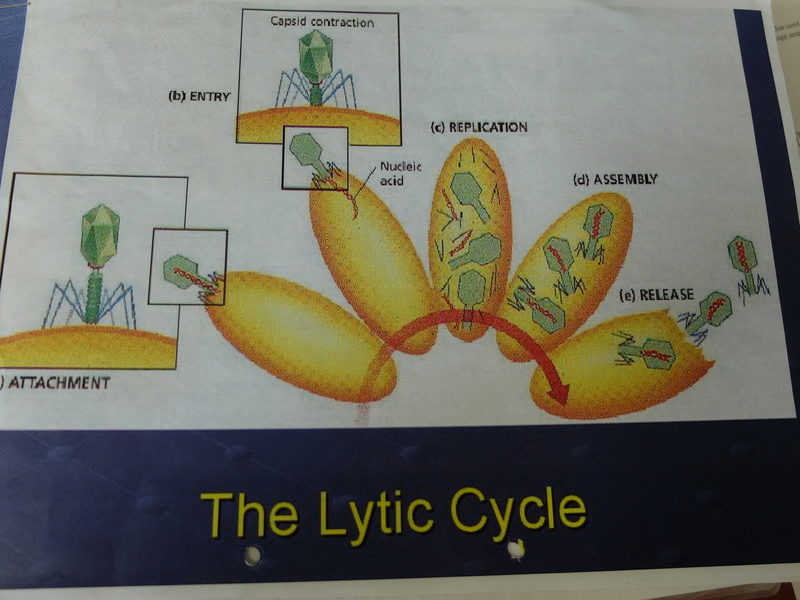 Backslopping, the Phage – terminology-tastic post. I remember talking to a cheese man about the Helveticus, and he claimed that it was behind much of the mass-produced supermarket cheddar… does this sound right to you? Yes, I think that’s about right. It gives a nice sweet taste which apparently especially younger consumers like (the same ‘younger consumers’ who presumably won’t eat Stilton ‘because it’s mouldy’. Heathens!) Backslopping is a lovely term isn’t it? One to slip (or slop) into conversation. 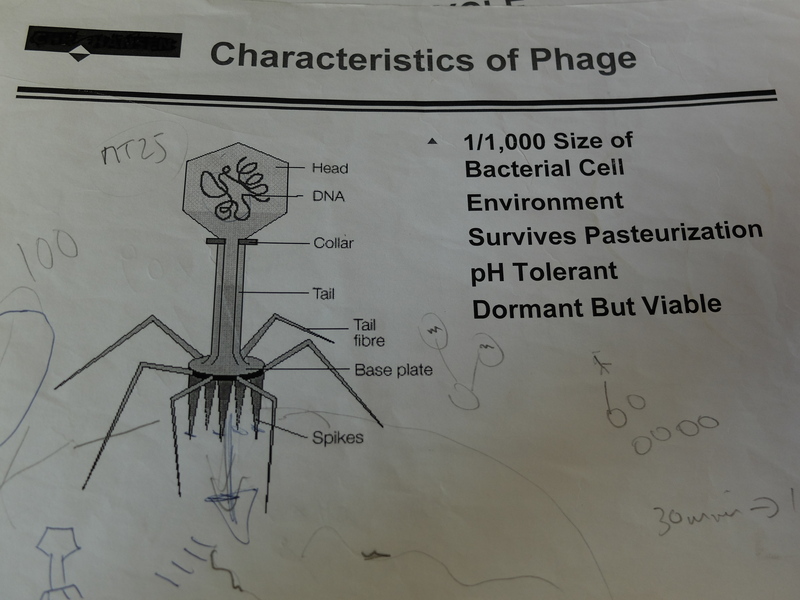 I believe the phage was actually used by Star Trek: Voyager (my nerdy credentials are showing) as a horrible disease which caused one species to prey upon others to harvest their body parts. Just thought I’d mention it. That’s really fascinating stuff. But like you, I’ll stick to lemon juice in my own (infrequent) soft cheese making periods. Thanks for a really interesting post.